FINDING INFORMATION ON THIS 19th century (1800's) home remedies and home medical remedies web site can be done easily. 1... Use the search feature we provide above left to search the 19th century home and medical remedies, conditions and diseases, or you can search our vet site using the search box above right. 2.. For this book - Search this page for the disease or condition you are after using your web browser's search function. 2... Look at the chapter title above the word. 3... Go to the 19th century home and medical remedies chapter via the chapter links. 4... At the bottom of every 19th century home and medical remedies chapter introduction page, you will find the links to the disease and condition pages within that chapter. Unfortunately, many search engines can not deal with more than 100 links to a page and this 19th century home and medical remedies web site has well over 400 pages (links), so it is not viable to run all the links from this one page. These old fashioned, 19th century home remedies and medical treatments, as well as the extremely detailed descriptions of diseases and conditions, may prove helpful to a discerning reader. To give an example, my wife suffers from many illnesses. Many of her diseases and syndromes are untreatable by modern medicine, but in using this book, for heartburn - gastric reflux in todays terminology - contained a section on the digestability of food. That section for the treatment of that illness, provided us with some dietary information. In using that information, we were able to eliminate some foods that the body finds hard to digest. This helped control the pain Ms.X suffered, though it did not cure the condition. So the information given in these old fashioned home remedies and medical treatments, can still be very valuable. A word of caution though, that being old fashioned, means that newer and better remedies and medical treatments may be around, as well as that some of the older remedies and treatments may have been found dangerous in some way. That's why I say that you have to be a discerning reader when you read the information on the home remedies and medical treatments provided here. Secondly, these old fashioned home remedies and medical treatments from this book, came from a unique period in medical history. It was published at the time when medicine had just changed from quackery to science. So the remedies and home treatments were ones that doctors and physicians of the day found to be helpful for the most part. An historical turning point in medical history. Third, this book on the treatment of illness and diagnosis, was written at a time when doctors may NOT have been close to where you were living, so it was designed to be a complete home care physician, which is why it is so detailed in the diagnostic information it provides, as well as the treaments and remedies it prescribes. Again, this makes it very useful - coming from the beginning so to speak of medical science - it helps to get the reader back to the basics of things. For example, diagnosed with dermatisis? Did you know that all that means is inflammation of the skin! Good gosh, this professional sounding diagnosis means you have red hands! Fourth, also from the above, this information on home medical treatments and home remedies, helps to demystify some of the medical talk and gives one an understanding of the condition in simple talk, so to speak. Another interesting facet to this great accumulation of home remedies and home medical treatments, is that the information would often be sold in book form to wealthy and or upper middle class people, such as farmers - my book had been owned by a chemist in 1823 Portland, Victoria, Australia - who would also often buy or own a medicine chest. A medicine chest was a big fold out chest that contained all the uncommon ingredients that a person might have to find for some of the remedies and treatments listed in the book. For those who could afford it, it was like having a doctor on call all the time, which is what this great accumulation of home remedies and home medical treatments was all about - being your own doctor. The contents sections are now clickable, the links take you to complete topic pages rather to individual pages. Some chapters could have 20 or more pages on one illness and it's treatment. Here, one click gets you to all the information, rather than having to turn through 20 or so pages to get it! Very minor alteration to text to make it more readable, for example, if the section had the same heading on each page, it was irrelevant to duplicate the section heading 20 or so times when it only needed to appear at the top of the web page. I've included this here in it's entirety, so that you can see what is in each major section. For example, clicking on CONSTITUTIONAL DISEASES using the links on the left hand side top of our pages, will take you to the introductory page on CONSTITUTIONAL DISEASES, toward the bottom of the page you will then find "CONTENTS OF CONSTITUTIONAL DISEASES", which provide the click on links to the individual topics, such as Small-Pox. This is the set up I have followed for all the major headings ( Chapters ). Fever: symptoms, cause, treatment.-Typhus Fever : symptoms, treatment. 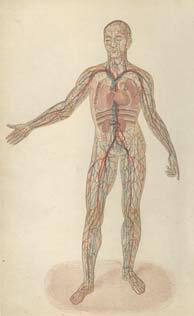 DISEASES OF THE ORGANS OF CIRCULATION. Palpitation of the Heart.-Angenia Pectoris.-Aneurism of the Aorla : symptoms...Page 161.
symptoms, treatment.-Cancer of the Stomach : symptoms, treatment.......Page 179.
treatment.-Guinea Worm.-Filara Sanguinis Hominis.-Dropsy : causes, treatment. Dropsy of the Brain : treatment. symptoms, treatment.-Jaundice: cause, symptoms, treatment. Addison's Disease : treatment,.........................................Page 211. Sunstroke: treatment.-Whooping Cough: treatment,.....................Page 289. Fever Blister: treatment.-Barbers* Itch (Sycosis): treatment. Baldness : treatment. Diseases of the Skin.-Keloid: treatment.-Fatty Tumors: treatment.........Page 365.
treatment.-Granulations in the Ear: treatment.-Eczema of the Ear: treatment. of the Tongue.-Enlargement of the Tonsils: treatment.-Enlargement of the Uvula. from the Urinary Organs.-Fainting: symptoms, treatment.-Treatment of Wounds. -Punctured Wounds: treatment.-Gunshot Wounds: treatment of gunshot wounds. Fractures of the Lower Jaw : symptoms, treatment.-Fractures of the Upper Jaw. -Fracture of the Nose: treatment.-Fracture of the Collar-Bone: treatment. Fore-Arm: treatment.-Fracture of the Fore-Arm near the wrist: treatment. -Fractures of the Hand: treatment.-Fractures of the Fingers: treatment. Fractures of both Bones of the Leg: treatment,-Treatment of Compound Fractures. of the Teeth.-Toothache : treatment,...................................Page 645. Poisons which occur in food.-Copper poisoning from food.-Poisons in Sugar. by Medicine and Chemicals,.............................................Page 853. The Relation between Lactation and the Sexual Functions.-Hygiene of Lactation. Influenza : treatment.-Convulsions: treatment, ..............................Page 871. The Skeleton.-The Spine.-The Head.-The Chest.-The Upper Extremity. -The Joints-The Muscles-The Nervous System.....................Page 1043.
fully described, with directions for use,..................................Poge 1076. HOW TO CHECK THE SPREAD OF CONTAGIOUS or INFECTIOUS DISEASES. had great experience, and are acknowledged authorities in their various Departments. HYGIENE AND RULES OF HEALTH. CHRISTIAN FENGER, A.M., M.D. | W. T. BELFIELD, A.M., M.D. nature, and other fine Engravings. in a careful and thorough manner. To accomplish this it was nec­essary to place its authorship far above the merest suspicion of weakness or inefficiency. efforts to produce a work, practical, thorough and complete. language, and as free as possible from medical or technical terms. so practical a form as is contained in the succeeding pages. personal attendance of a medical adviser. but also what he can not do. and should be the prevention rather than the cure of disease. protect against the attacks of these diseases. science, they are rendering a service to their professional brethren as well as to the public at large. advertised to cure any one of forty different and distinct complaints.